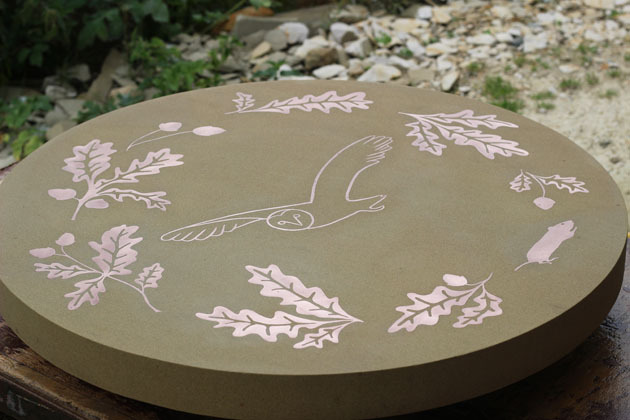 The burnished copper tones in the Owl and Oak Leaves stone roundel express themselves magically – each time I move the inlay shines, glimmers and glows a myriad of metalic pinks, gleaming reds and rich shimmering browns. It will be lovely to see the emphasis change as the scene weathers and softens, time enhanced with hints of verdigris. 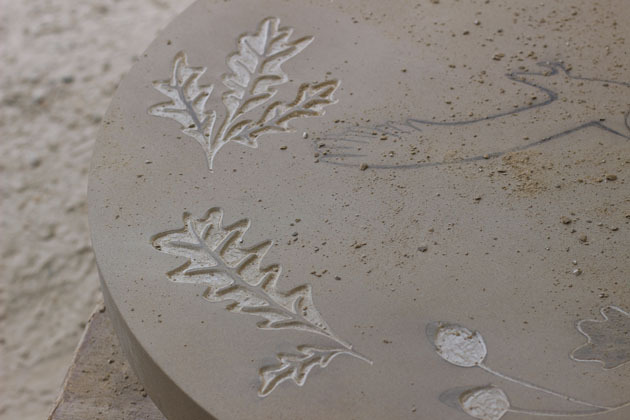 The stone too will mellow, ease and settle as the garden grows around it. 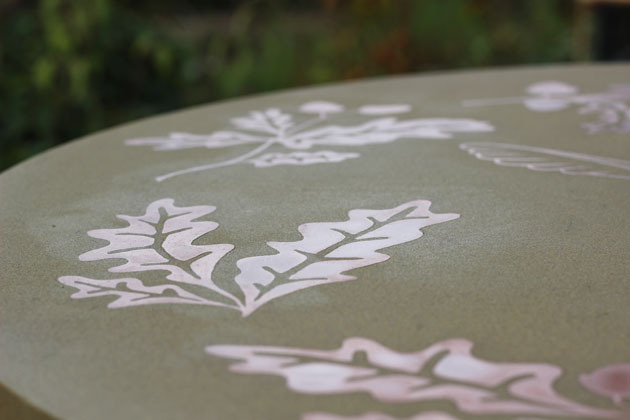 A close-up of the oak leaves which run round the circular paving stone. 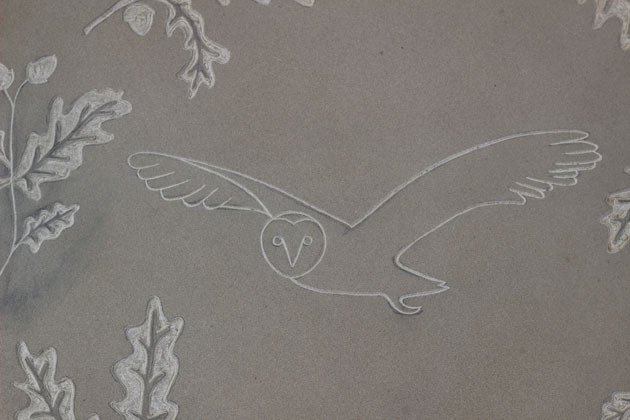 And here the carving progress, shaping the areas for the copper inlay. 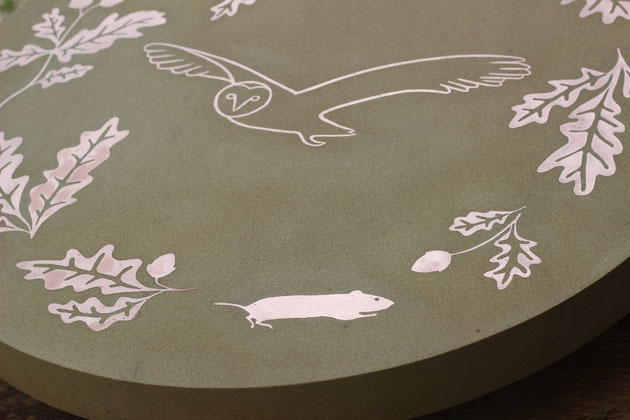 The finished stone – a feature for the garden of Oak House. did you pour molten copper into the recesses? The recesses were filled with copper resin – about equal parts resin to ground up dusty copper metal powder. When just mixed it is pourable and then cures hard so I can polish and bring out the copper. 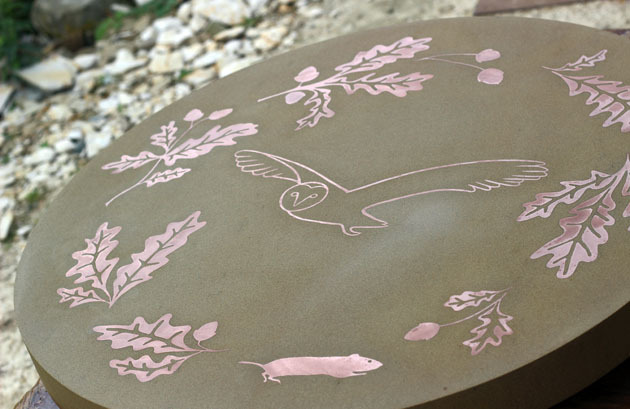 I’m experimenting with sheet copper, but it is proving a challenge! Beautiful Jennifer, you can do the same with powdered brass which looks quite golden initially but weathers slowly to a darker colour. That’s a great little vignette.